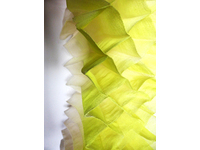 A series of 4 pieces of digital, industrially woven jacquard textiles. 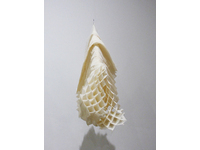 The research works investigate the potential for deployable 3D weaving practice based methods of creating multilayered textiles in one piece on the loom. 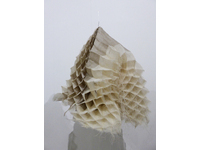 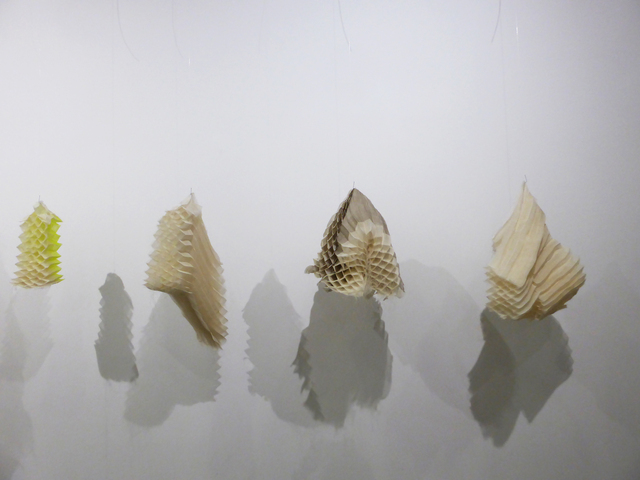 These works are then are extruded post weaving to create large volume and space - explorations and investigations include medieval ruff scale changes, constructions, cellular kite and honeycomb construction methods. 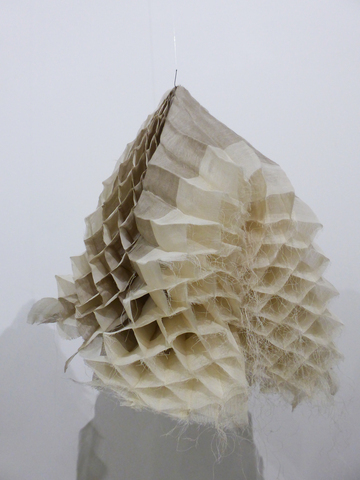 This series is a body of abstract convergent works combining and moving on from previous research, which explored ideas around horizontal 3D surface effects, challenging industrial digital woven jacquard loom methods by pushing boundaries to innovate. 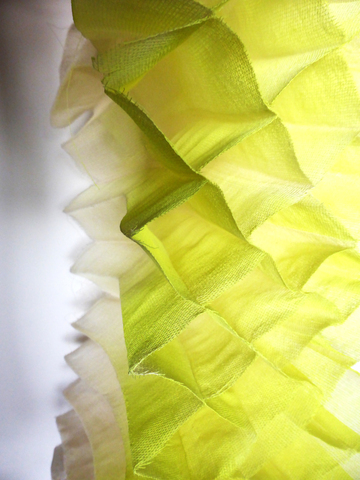 The previous textiles have inherent 'on - loom finishing' properties, through design, yarn and woven structures which allow the textiles to 3D self form when tension is released. 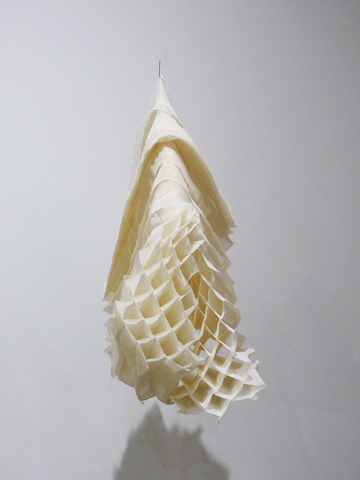 1580 series require manipulation and heat and setting experimentation after weaving to release and maintain their 3D layered systems.